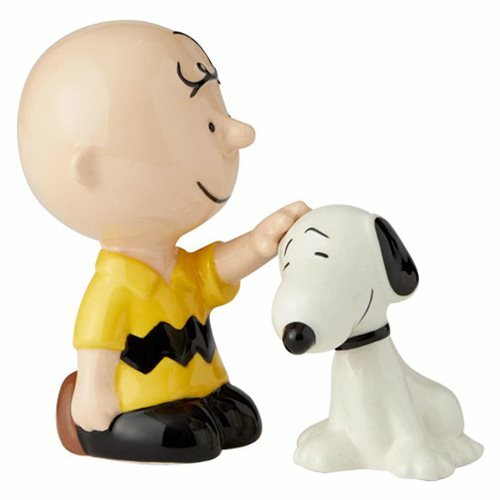 Peanuts fans will love this Peanuts Charlie Brown Pets Snoopy Salt and Pepper Shaker Set! Made of stoneware this salt and pepper set features the loveable Charlie Brown and Snoopy. Comes in window box packaging. Measures about 3 3/4-inches tall x 2 1/5-inches long x 2-incehs wide. Hand wash only. Not dishwasher safe. Do not microwave.